I was a little late in seeing what many said was the film of the year and, before even seeing it, I was ready to believe them. I mean, come on; Spielberg directing, Day-Lewis starring, and John Williams producing the music. Add in the epic story of one of American history’s most influential figures and how could it go wrong? Well, for good or bad I got to see things go wrong before I got to see the movie; losing Best Director to Ang Lee and then losing Best Picture to Argo. 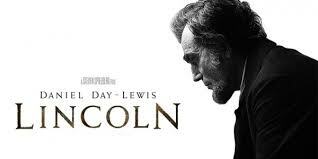 Apparently Lincoln wasn’t the unbeatable cinematic giant it appeared to be when it first hit theatres, and after finally watching it, it was easy to see why it was beaten. The story is not unfamiliar; the Civil War is coming to a close as the South rapidly runs out of men and resources, President Abraham Lincoln has emancipated the slaves with his Proclamation, and has been reelected to a second term. A divided American nation is about to be reunited but, in Lincoln’s eyes, slavery has not yet been conquered. Only through an amendment to the Constitution will this horrid practice be ended, and Lincoln believes that the time to make history is now. Focusing not on war but on government, Lincoln tells a side of the tale that we may not have learned in school, but is vitality important to our understanding of both the history and the shaping of our nation. What could go wrong, right? With a story like this and with a great team to tell it, it just had to be good. And it was just that; good. The scope and beauty of the film were what one expects from Spielberg. The epic musical score was classic John Williams. And there has never been a more believable method actor than Day-Lewis; he was Abraham Lincoln. But that’s where the praise ends and the let-down begins. The whole film was overdone and heavy-handed. Every scene was a dramatic, earth-shattering moment. Each actor was perfectly practiced at 1860s dialogue. Not a moment passed that didn’t remind us that this moment in history was very important, deep, and serious. And when an attempt at humor was made to give the audience a break it was given in the form of three blundering buffoons posing as archaic lobbyists. A fine touch was needed to portray Lincoln as not only a President but also a husband, father, and politician. A light hand would have helped to make the end of his life seem real, not like the final act of a Greek tragedy. That desired deftness was absent from almost every aspect of the film, and it was sorely missed. Had the film been a little more understated it still might not have risen from good to great. Sally Field’s performance was a touch silly, to be blunt. And the endless number of cameos really broke down the fourth wall; James Spader as Mr. Bilbo, JGL as Robert Lincoln, Hal Holbrook, John Hawkes, Jackie Earl Haley, Tim Blake Nelson; it was all a little much. I wish that Lincoln would have been a cleaner film. Had it been more simplistic it would have made the power of the message that much more audible. But, as it was, it was a good movie, not a great one, and that’s just not good enough.